Most people, before buying their first car will research car buying tips in order to maximize their trip to a dealer or used car salesman. Common sense is your best car buying tip. As long as you remain firm about what type of car you want and the protection you want on it, you will prevent the possibility of being sold a car you don’t want or protection you don’t need. Reading all documents, including the fine print is absolutely necessary to ensure that you can hold the seller accountable for faults and other issues that might arise from the purchase of this car. Do you really want a car? It may seem like a silly question, but if you decide a week after you have bought it that the car will be too expensive or you do not need it, you are out of luck. Unless the dealer allows you to have a cooling off period, you are most likely stuck with the car and cannot return it. There is no legal option to force the dealer to take the car back and if you are unsatisfied with your buying decision. There are limited exceptions in some states which gives consumers time to consider their financing options or have a paid return option. Do not rely on these laws; it is better to be sure the car is what you want before committing to buy it. The warranty protects your car against damages and defects by guaranteeing the repair of parts and cost of labor to fix the car. Full warranties will cover all of these costs, while limited warranties will cover a capped amount or percentage. Understanding the limits of the warranty you are getting on the car is important to determining what you may pay in the short and long term to keep the car operational. Not all cars come with warranties and some may have the typical rights of a warranty, implied or otherwise, waived by selling the car “as is.” Although you have the protection of lemon laws, understand that if the car breaks down a week after you’ve bought it, it is not a lemon. Only substantial damages, excessive repair bills and frequent repairs can classify a car as a lemon and help you get your money back. Car buying tip #3 – Do I need a service contract? You will be faced with the decision to buy a service contract. In fact, many car buyers do purchase a service contract. A good service contract offers piece of mind and allows the car owner to perform necessary maintenance or repairs for a lower cost. This is similar to a warranty but usually only offers a discount on the cost of parts and labor. Usually your warranty will be sufficient to avoid buying a service contract right away. If it is not, you may want to take the service contract option, so that you may supplement the warranty. When buying the car, ask if you will be offered the service contract after the warranty expires. In addition, study the terms of the contract and ensure it covers essential services and repairs the car may need. Also, determine who will enforce the service contract, especially if the entity you are buying the contract from ceases to exist. If you want peace of mind when figuring out how to buy a car, you should research the seller, either through independent reviews or by consumer protection agencies, such as the Better Business Bureau and state authorities. These entities will keep records of complaints against business and many patterns of unsatisfied customers should flag a prospective buyer of the potential for a less than favorable transaction. The less reputable the dealer, the less credence you should give to promises that the cars are “certified-pre-owned” or that the warranty is particularly suited to your needs. -	how much the car will cost you, when factoring for financing options and interest. Worse than sticker shock is paying for what seemed like a low-priced car, only to be paying exorbitantly for that car for years with a rising interest rate and never ending payments. Therefore, when a dealer offers “no money down payments” and other inducements to buy, understand that you will pay more in the long term due to interest. Financing may be right for you, but understanding how much financing will cost is important in buying a car. All cars in the United States must be registered with the local Department of Motor Vehicles (or equivalent in your state). 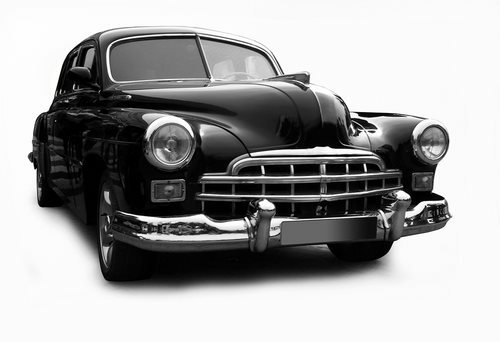 With the internet, you may check the history of any vehicle, especially any used car for sale. In researching the history, you will find a record of accidents and other issues with the car that are not readily apparent through a cursory inspection of the car. Let the vehicle history affect your decision to buy the car. Generally, you will be given the right to have an independent mechanic check the vehicle. If this is available to you, having the vehicle inspected before buying is an important step in ensuring you are not facing hidden costs at a later date. Test drives are also a common way to inspect the vehicle. Test drive the vehicle when you can to determine how well the car works and if you are comfortable committing to buy that vehicle. Neither inspecting nor testing the vehicle will lead to an increased chance of making a poor decision.